You may recognize the names of the planets from your high school literature course or a history class. That is because many of the planets were first discovered by ancient civilizations, and so planets are named after their gods. The Romans named Mercury after the messenger of the gods because it appears to move so quickly. Venus was named after the Roman goddess of love because of its shining presence. The planet is the brightest object in the sky beside the Moon and the Sun. A number of other cultures also named Venus after their own gods or goddesses of love and war. Jupiter was named after the king of the gods – Zeus by the Greeks and Jupiter by the Romans. Ancient civilizations most likely named this planet after the most powerful god because of its size. Jupiter is the largest and most massive planet in our Solar System. Saturn was named after the father of the king of gods as well as being the god of agriculture and harvest. In mythology, Saturn had taken the position of king of the gods from his own father, Uranus, and then Jupiter overthrew him. Saturn is the last planet that can be seen from Earth without the aid of a telescope. Uranus was not discovered until 1781 by Sir William Herschel, so it was not necessarily going to be named after a Roman god. In fact, Herschel named the planet “Georgium Sidus” in honor of George III who was King of England at the time. Others called the planet Herschel in honor of the astronomer who had discovered it. The name Uranus, which is the name of the Roman god who is the father of Jupiter, was suggested by the astronomer Johann Bode. That name was widely accepted in the mid 1800’s, and it fit in with the other planets, which all had names from mythology. Neptune had been observed by a number of astronomers, but they believed it was a star. Two people, John Couch Adams and Urban Le Verrier, calculated the planet’s location. Johann Galle, the astronomer who discovered the planet using Verrier’s calculations, wanted to name the planet after Verrier. Many astronomers objected though, so it was named after Neptune the Roman god of the sea. The name was very fitting because the planet is a bright sea blue. 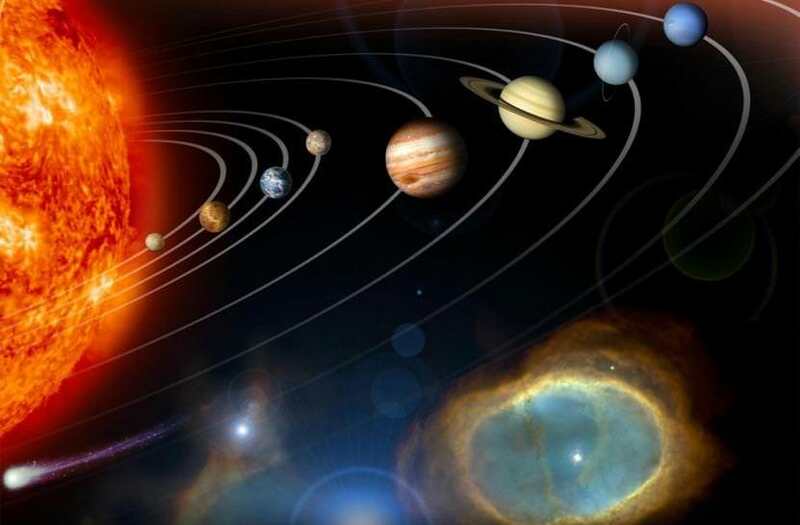 Universe Today has a number of articles on the planets including facts about the planets and the planets of the solar system. If you are looking for more information on the planets take a look at the planets and interesting facts about the planets. Astronomy Cast has episodes on all of the planets, so start with Mercury.